Keep your bike in mint condition with this visually in-depth manual for bicycle maintenance and care. Featuring CGI illustrations that can be viewed at any angle, The Complete Bike Owner's Manual shows every aspect of bicycle repair and maintenance. Each diagram and step-by-step instruction is shown more clearly than ever before in this book. Learn how to mend a tire puncture, build your own custom bike from scratch, or adjust your seat with The Complete Bike Owner's Manual. Find out which bike is right for you, know what questions to ask in the store, and make sure you know what to look for when purchasing a bike. The Complete Bike Owner's Manual is a complete reference of repairs and maintenance for the do-it-yourself bicycle owner. Check the diagnostic spreads, which go from symptom to solution and include a toolbox to show what equipment is needed for the repairs that will get your bike back on track. 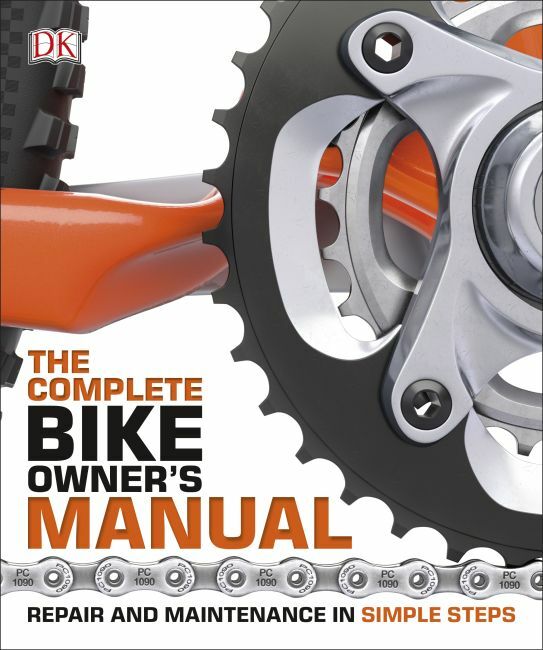 From cleaning your bike to brake repair to electric bike maintenance to assembling a custom mountain bike, The Complete Bike Owner's Manual is a friendly and informative guide to taking care of your bike.